We are excited to share some great news with you. After all, this recognition has as much to do with our home buyers as it does our team. It’s official – your log home, is a green home. 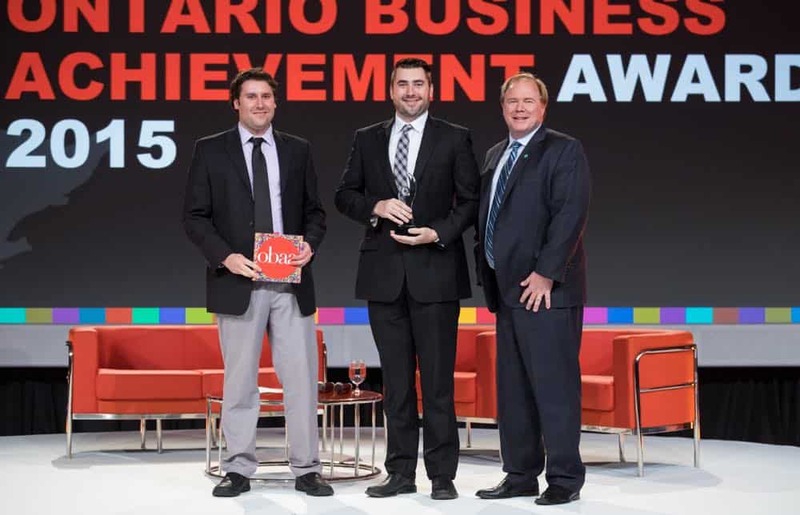 1867 Confederation Log Homes is the proud recipient of the 2015 winner of the Sustainability Award by the Ontario Chamber of Commerce at their Ontario Business Achievement Awards gala in Toronto last week. Long before the “green” movement, Confederation was committed to producing energy efficient homes, zero waste and sustainable forest management. It just makes sense – for the environment, the sustainability of our industry and the high quality of our product. Secondly, we know it’s important to our homebuyers. Being recognized in this way is so gratifying because we know from our customers across Canada and the US and all over the world and from the thousands of people who attend our seminars and meet with us at home shows, that an environmentally friendly home is important to them. We know people just like you want to feel good about the home they build in every way. It means we plant more trees than we cut to prepare for tomorrow. And those growing trees contribute to a healthier environment. Our homes are energy efficient ensuring your energy costs are as low as possible and reduces the burden on our energy infrastructure. Our logs are air dried not kiln dried – the great news is that it makes for a better log for your home and has no carbon footprint. Zero waste – yep, zero! Scraps are sold to marinas, used for firewood and sawdust used for animal bedding. Ninety percent of the products that go into your home are Canadian! Most of those from right here in Ontario. Let us know how important sustainable building practices are to you. Your new log home will be something to brag about!